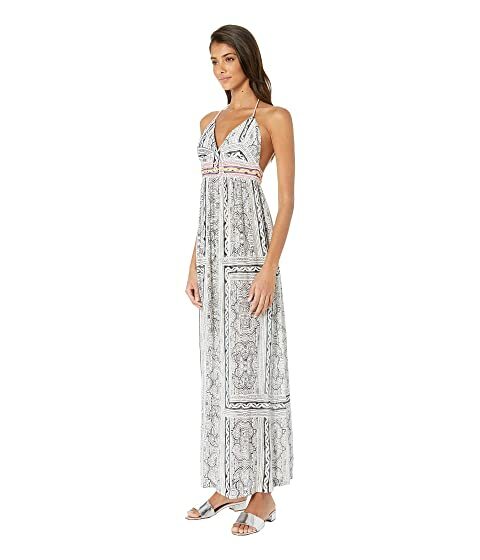 Keep it breezy at the next luau with the beach-chic Rip Curl® Mai Ohana Maxi Dress! 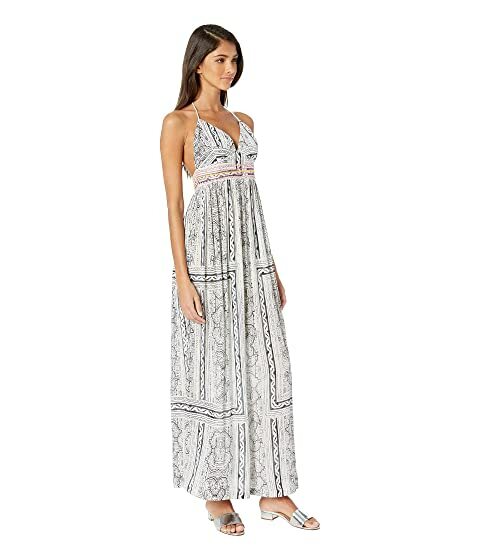 Maxi dress in a woven viscose fabrication flaunts allover print on a flowing silhouette. 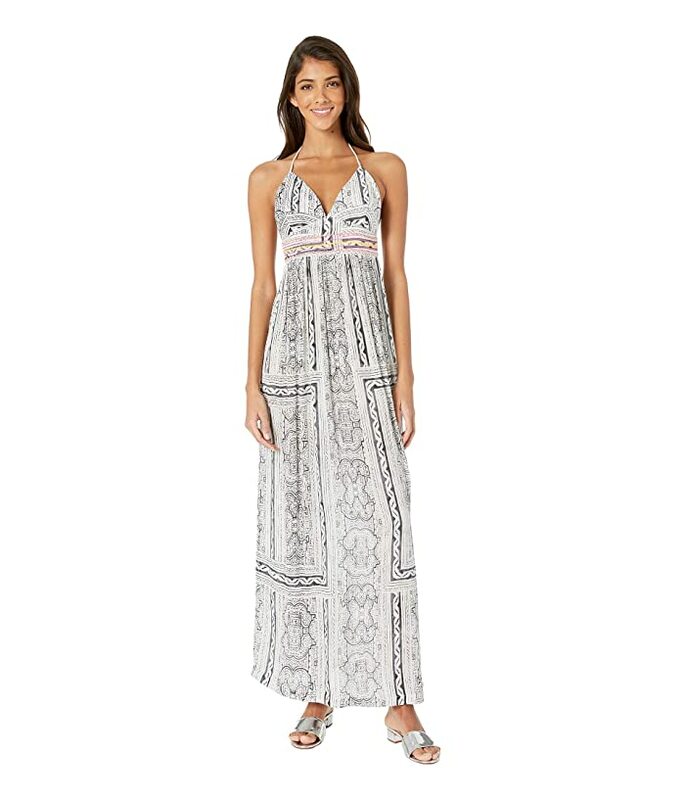 Empire waist with multicolor embroidered detail. Elastic smocking at back waist. Straight hemline at a sweeping length.